This basic straight jean skirt will be your new favorite and go-to skirt. 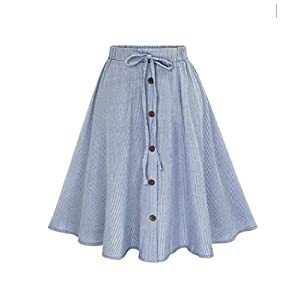 This awesome denim skirt features the classic 5-pocket style. 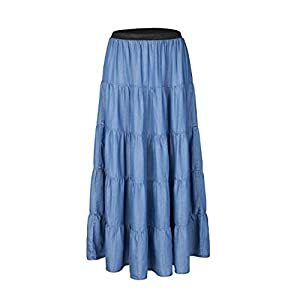 Sometimes called the MANHATTAN skirt, it is made of a prime quality stretch denim. 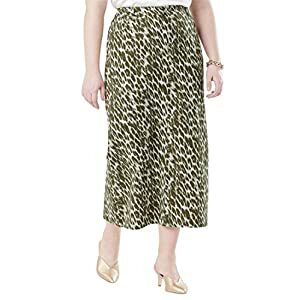 Soft, and extremely comfortable, a perfect skirt to wear for long periods of time. A totally versatile skirt that can be worn to the office, to a party, or a night out on the town. If you are on the lookout for a skirt with durability, this is the one for you! The Esteez brand has been around since 2013, and we pride ourselves on total customer satisfaction. Our feedback speaks for itself, so please feel free to take a look 🙂 Our quality keep an eye on of our merchandise is taken very seriously to at all times make sure that the customer receives a prime quality garment at an affordable price. All of our styles come individually packed with our Esteez branding, an Esteez bookmark and are a perfect gift item for your loved ones!